Amritsar is a city located in the north-western Indian state of Punjab. It plays a great role in the history of Sikhism. It is well-known for the beautiful golden temple. It is also popularly known for its street food and the Dhabas which serves delicious chole-bhatura, tandoori chicken and fried fish. This city has something to offer for everybody. You can explore the old bazaars, historical monuments, places of worship, colorful festivals and theatre traditions. One can visit the Amritsar heritage walk, Attari border, Golden Temple, JallianwalaBagh, and many such places in Amritsar. The economy of Amritsar is mainly dependant on tourism and other sectors like handicrafts, fabrics, carpets, and farm produce. Shri Guru Nanak Dev University, Indian Institute of Management, Amritsar as well as Amritsar College of Engineering and Technology are some of the educational institutes in Amritsar. 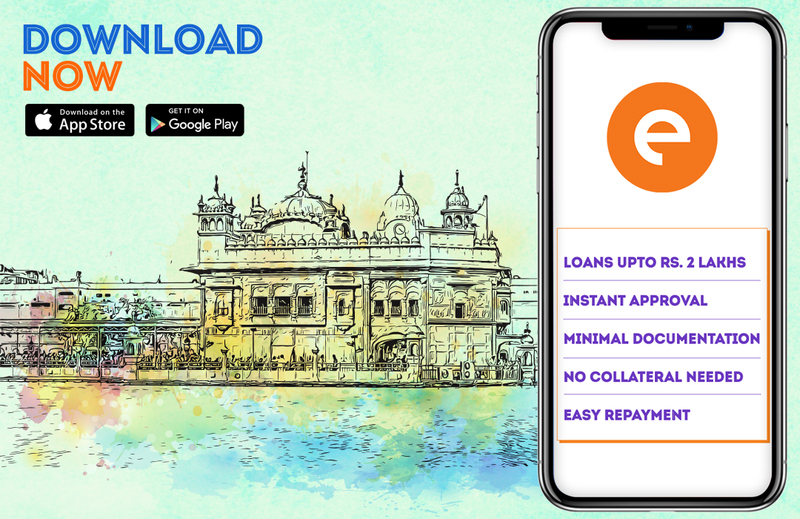 One can get a personal loan in Amritsar if he or she is a salaried employee through the CASHe app. One doesn’t have to borrow from their friends or family for small loans. CASHe’s Online loan app provides instant loans to users with minimum documentation. The process of application is short and simpler compared to the traditional loans. Such loans are gaining popularity among professionals due to its availability. The apps are available 24/7 on the app store, this means you can apply for a personal loan in Amritsar sitting at home or at the office. You don’t have to travel to a bank or any branch. The online loan app doesn’t involve any third party, your application is completely private. You don’t have to inform anybody before applying for a loan. The documents required by these apps are easily available by most of the users. One has to submit their identity proof, address proof and income proof to get a personal loan in Amritsar. The loan amount can vary from INR 10,000 to INR 1 to 2 lakhs. The duration of personal loan can be 15, 30 or 90 days on online loan app. These are short term loans, hence the interest rates are quite low. Plus, you don’t have to showcase any asset ownership as these are unsecured loans. You can repay the loan by simply transferring it back to the online loan app. The application process is user-friendly. Almost everyone can easily apply for a personal loan in Amritsar. Download the online loan app on your smartphone. There are various apps like CASHe available on the google play store for android phones and apple app store for iPhones. Create your profile and upload your valid documents. The online loan app verifies your documents and approves your eligibility. The next step is to enter your loan amount and the duration of the loan. Submit your loan request to the app and wait for the approval. Once your personal loan in Amritsar is approved the money directly gets transferred in your personal savings account. The process is hassle-free and can be completed within 20 minutes. You can repay the app on your due date via bank transfer.